Horse is a national 4-H project. It features curriculum that will guide you through the project. For a copy contact your County 4-H Office or order online at National 4-H Service Supply. For additional curriculum possibilities, explore the National Directory of 4-H Materials and do a key word search for Horses, Horseless Horse or Clothes Horse. What you can do in this project: learn horse behavior and terms; study breeds and identify body parts; saddle, groom and bridle your horse; practice horse safety and horse selection. What you can do in this project: practice horsemanship and judging; understand horse selection and training; learn about tack, feeding and diseases; practice showing a horse and trail riding. What you can do in this project: explore horse breeding, genetics and heredity; understand horse diseases and prevention; learn about fencing, pasturing and housing; explore horse-related careers. What you can do in this project: train a horse; practice a round-pen workout; learn English and Western style bridles; understand equitation and riding styles. What you can do in this project: learn to set goals; compare costs of show clothing; present your horse in showmanship classes; rate your showmanship skills; practice proper show ethics. What you can do in this project: you do not need a horse in this project; explore horse behavior, terms and breeds; identify body parts; learn grooming, saddling and bridling; learn about safety and equipment. What you can do in this project: learn about horsemanship; explore judging and oral reasons; learn selection, training and showing; practice trail riding skills. What you can do in this project: learn how to make riding apparel and equipment; develop sewing and creative skills; understand textile selection and care. 4H500, I’m a 4-H Project Leader. Now What Do I Do? Wisconsin 4-H Youth Development Policies Includes Wisconsin 4-H Program Safety Regulations. Many counties hold local training for members and leaders in their favorite project areas, including horses. Watch your county 4-H Family newsletter or contact your county Extension office for details. Series of four day-long events held around the state each summer where youth in the beef, dairy, horse, sheep and swine projects increase their decision making skills and knowledge of animals through judging and grading experiences. Events include evaluation of dairy cattle, horses and meat animals; dairy showmanship contests; hippology (the study of horses); and oral reasons workshops. In addition, each site offers a variety of workshops for small animal projects, which may include rabbits, poultry, dogs, cats or llamas. More events are on the Wisconsin 4-H Horse website. The county fair . . . what a great time it is! Every summer, families flock to county fairs to see the latest 4-H project exhibits. Exhibiting is a fun and educational way for youth to showcase their project work to judges and to the public. Judging materials are supported by Bill Shaw in memory of his wife, Shirley. Application for Registration as a Registered Judge for Wisconsin Fairs (1 page, 20 KB) Form to use if you want to become a registered judge in Wisconsin. There’s so much more to learn in the 4-H Horse Project. Just follow these links! National trade association representing the horse industry in Washington, D.C.Site addresses concerns of the national identification system and how the horse industry is responding and what it means to horse owners and breeders. AYHC is a on-profit organization providing leadership and resources for the youth horse industry. AYHC develops and distributes educational materials, promotes communication and provides training opportunities to those looking to teach kids about horses. Site features activities, events, resources and many horse-related related links. 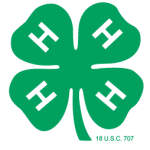 Visit this site for additional National 4-H Horse Project activities, information and links. Information on how this important new livestock animal identification system is being implemented in Wisconsin. Site is a directory of information about all types of pets, including dogs, cats, birds, horses, amphibians, reptiles, small mammals, aquarium fish and more. UW-Madison student club that organizes and administers the Little International Horse Show, Badger Kick-off Classic Steer and Heifer Show, and the Badger Bonanza Lamb Show. UW-Extension Horse site with links to the Horse Pasture Management Course, Wisconsin State Horse Council, and more. Guide to links for many horse-related sites. Resources and links to science, engineering, and technology activities. Various horse-related events held at the state fairgrounds throughout the year, West Allis, WI. Council promotes the state’s equine industry through leadership, education, service and communication. This lending library features several resources on horses, ethics, nutrition, and more. This is your link to a list of Wisconsin County Extension Offices. Select the county of your choice.